Not everyone who mows their lawn uses a grass trimmer. For people see it is as a luxury item which is not entirely necessary. I disagree. 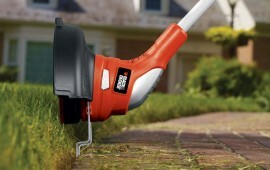 Using a grass trimmer adds a finishing touch to your lawn because it keeps the edges nice and neat. The mower that you are using is unlikely to be able to scrape up all the grass that is lying over the edge of your lawn or grows tightly against a wall or fence. The trimmers that we have selected can be organised into two main categories: Petrol and electric. Petrol machines are generally more expensive, more powerful and less economical. The electric machines (corded and cordless) are quieter, require less maintenance, are more economical but also more restricted for use near a power source. Ultimately the choice is yours over which type you go for but there are generalisations that can be made. For example, large areas of grass in very large gardens that have unruly weeds and brambles are more likely to need the freedom and power of a petrol machine. A small garden of a house in the city with neighbours close by are probably more suited to a cordless product. Note: The cutting blades spin at several hundred kph so be sure to take safety precautions, such as wearing long trousers, boots and gloves to protect against debris and the blade. Debris can also fly upwards so eye protection is a good idea, too. 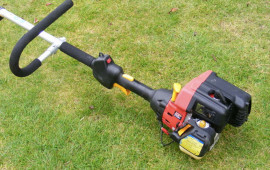 You will often find that more modern strimmers come with the option of two or more attachments. The two main types are that of the grass trimmer which uses a nylon string to spin at a very high speed to cut the blades of grass and a metal piece which is used for brush cutting, which just means to cut through overgrown bushes and areas where you cannot take a lawn mower. Have a look through at the products we have chosen by clicking on the following categories and see for yourself what kind of strimmer you can get for your money and how they fit in with your requirements. Ideally suited to areas which are smaller and have easy access to a power supply, these electric trimmers are usually quiet and low maintenance. You can easily store them in the shed and bring it out when you need to each year without a worry. 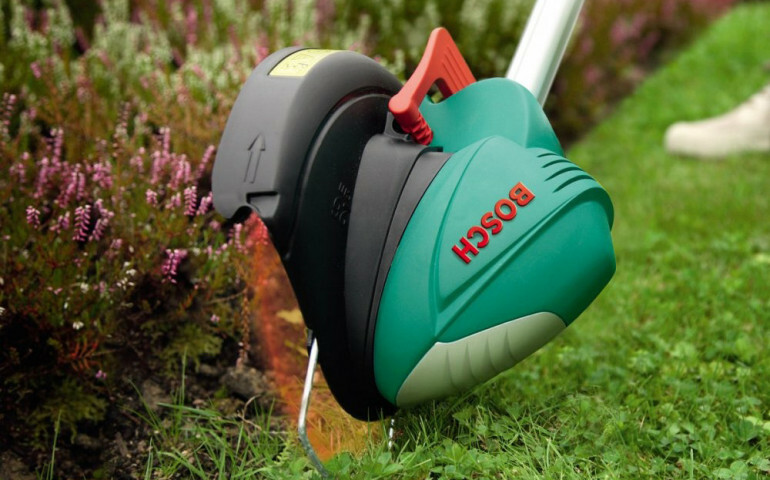 For stubborn and expansive grassy areas which are far away from a power source a petrol trimmer is a great choice. Preferred by those who are using it regularly and want a more robust machine to get the job done with ease due to the increased power and performance.